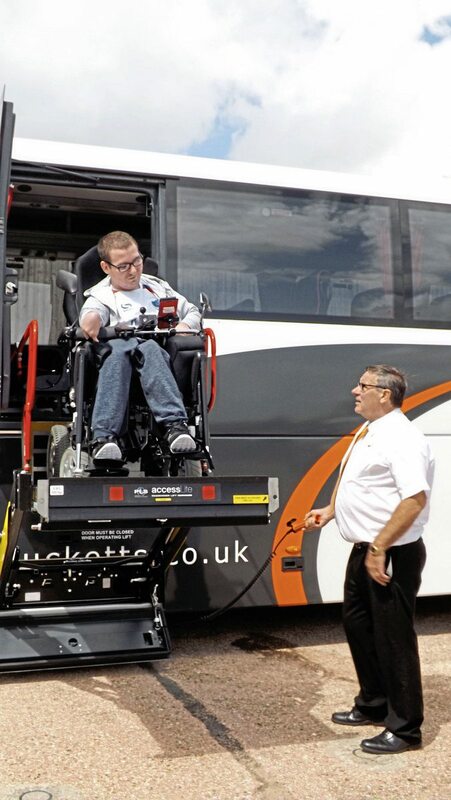 Lucketts Travel has confirmed that the first coach for Portsmouth FC away game matches will be wheelchair accessible. The Fareham based operator is the official away fans’ travel provider, having provided transport for Pompey supporters for many seasons and is also a sponsor. 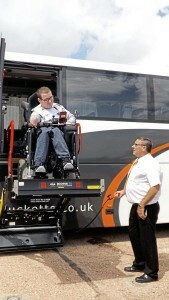 Fan Pete Andrew tries out the new lift with help from John Horn from Lucketts Travel.